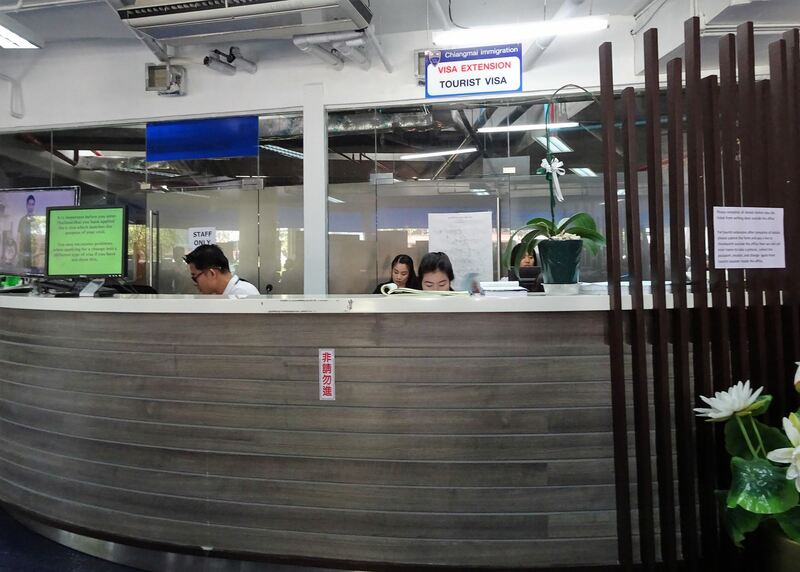 Chiang Mai Immigration has moved back to the airport to their Provincial site on Sanambin Road as of September 24th 2018 operating from 8:30 AM to 4:30 PM Monday – Friday (except on Thai national holidays). Visa extensions will be dealt with there on the 1st (ground) floor of this new building. 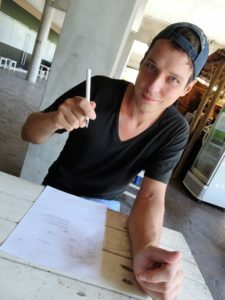 As we assume that the procedure will still be similar as to the tourist visa extension progress back at Promenada Mall, which served as the place for extending your visa for several years you can still check this article below for some general information and tips on how to extend your visa in Thailand. Just when we thought we left all the paperwork and bureaucracy behind it caught up with us when we realized that our Thai tourist visa was about to expire in less than 4 days and with the weekend coming up we quickly realized we better hit the road and make a trip to the Thai immigration office in Chiang Mai to get our visa extended for another 30 days! 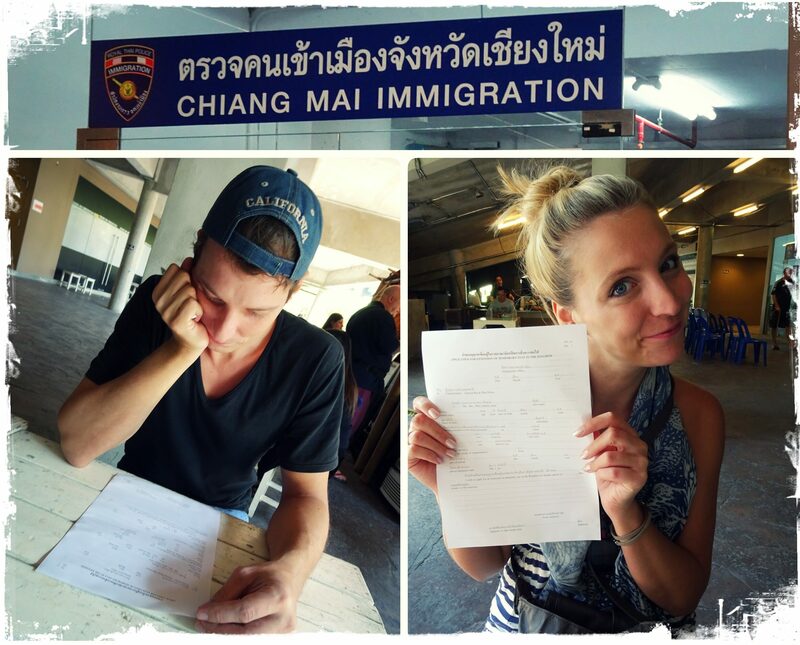 So if you find yourself in the same position and have no idea how the tourist visa exension process works in Chiang Mai than keep on reading. With a German passport we were allowed to enter the country with no visa at all and permitted to stay for a total of 30 days. If you plan on staying longer (and once you’ll see all the beautiful beaches and islands chances are high you WILL want to stay longer 🙂 ) you can extend your visa for another 30 days. PIECE – OF – CAKE! Same applies when you enter with a single entry tourist visa which allows you to stay for 60 days in total. You could also extend this visa (only ONCE!) for another 30 days without leaving Thailand giving you the possibility to stay for a total of 90 days! Three months in Thailand? – HELL YA!!!! Attention! Keep in mind that the first day you are on Thai soil is already counted towards those 30/60/90 days! So always check your passport stamp for your exact expiry date! Theoretically you can apply for an extension of your tourist visa for Thailand up until the day it expires or your passport stamp tells you to leave if you entered with no visa like we did. However waiting until the last second is pretty risky. There might be a public Thai holiday you don’t know about or the date falls on a weekend when the immigration office is closed. Also it might be one of those days with just tooooo many people in line in front of you so you simply won’t make it that day. Whatever the reason, better safe than sorry! So to avoid any last minute heart attacks we recommend paying a visit to the immigration office to extend your visa at least 2-3 days prior. 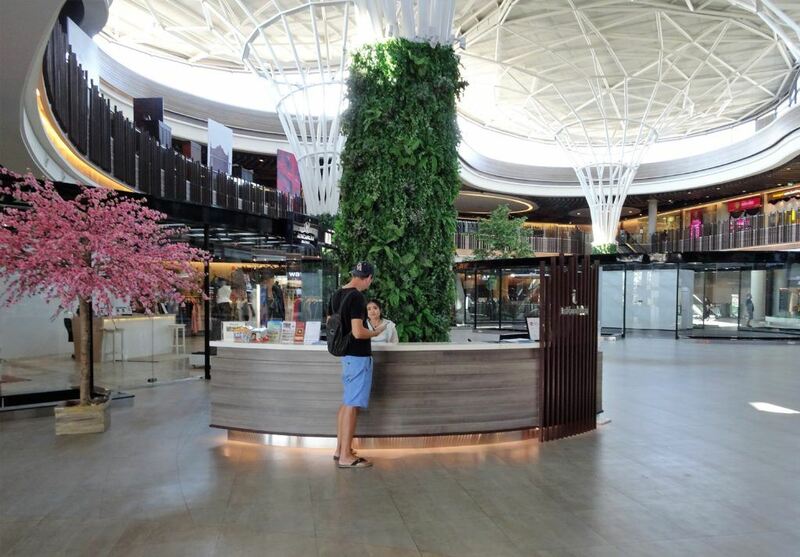 Tourists can extend their tourist visas at the immigration office at the Promenada Mall. They have a so called “One Stop Shop” for visa extensions which is open from Monday – Friday, 8:30 am to 4:30 pm (with a 1 hour lunch break from 12pm – 1pm! ) – excluding public holidays! 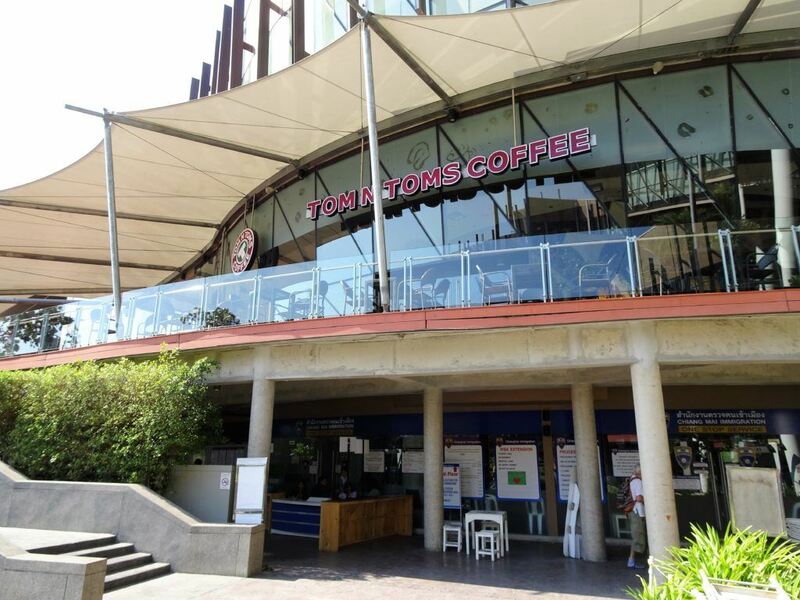 Just watch out for the big Tom N Toms coffee chain sign – it is located right BELOW that! 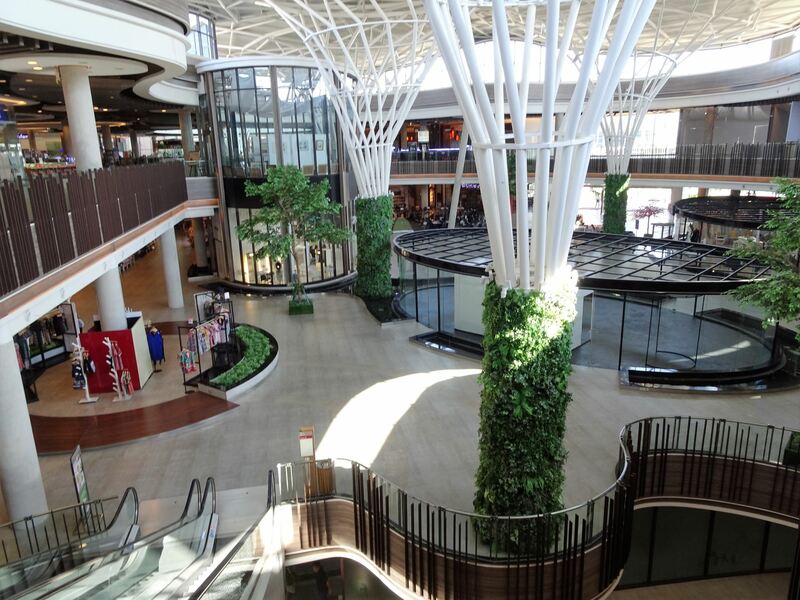 HOW TO GET TO THE PROMENADA MALL TO EXTEND YOUR TOURIST VISA? So simply stop a red Songthaew or Tuk-Tuk and tell them you want to go to “Promenada”. They will drop you of right in front of the mall so you can’t miss the big Tom N Tom sign. We took an Uber taxi from Nimman area for around 85 THB and it took approx. 20 minutes to get there. WHAT TO BRING WHEN EXTENDING YOUR THAI TOURIST VISA? Also make sure you know the address where you are currently staying as well as having a Thai phone number – this information is required on the visa form! 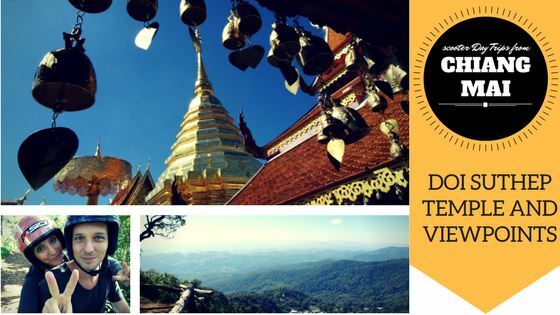 WHAT IS THE PROCESS FOR EXTENDING YOUR THAI TOURIST VISA IN CHIANG MAI? The Process to extend your stay/visa is pretty straight forward and there is always enough staff on site to tell you what’s happening next. 1. Find the “one stop shop” of the immigration office below Tom N Toms coffee chain and go to the information desk to pick up the TM 7 form. Note: This is all outside! Note: Bring a pen as there are only a few pens at the information desk so unless you want to wait around for a seat to get free better bring your own blue or black pen! 4. Get your passport & departure card copied if you didn’t bring copies with you already – it’s less than 10 THB so I wouldn’t worry about doing it before. UPDATE APRIL 2018: a tip from a fellow traveller was to skip the lines and high prices and go to BIG CAMERA on the 3rd floor. They charge around 150 – 180 THB for TEN photos whereas the shop near immigration will charge around 200 THB for six photos. 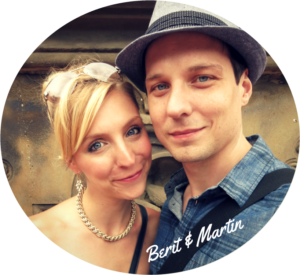 Note: they are not flexible on the size of the pictures and rejected the ones we brought as there were “too small” 🙂 Funny thing was that Martin brought the ones he got taken when extending his visa before at the immigration office in Phuket, Thailand. 6. 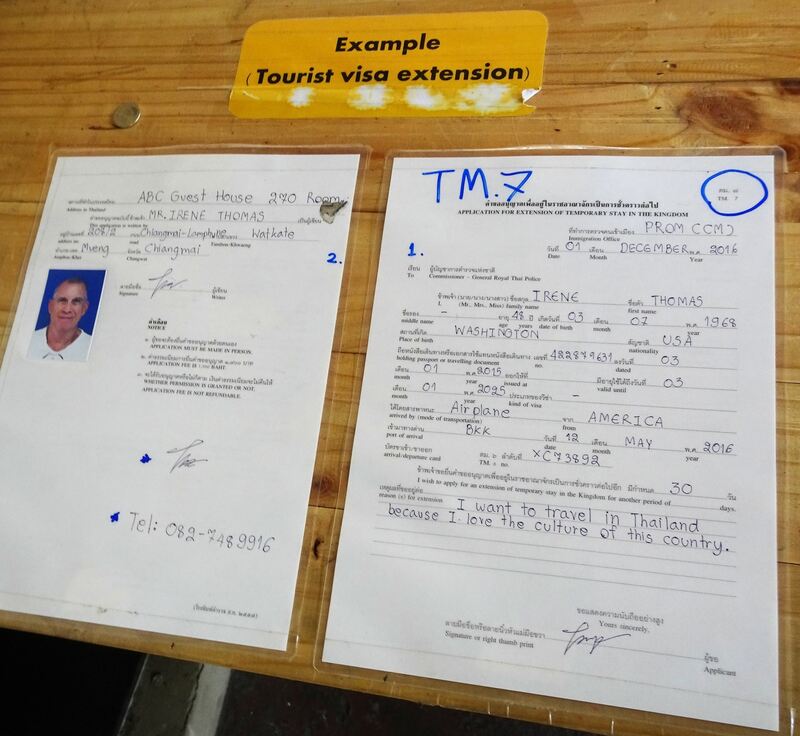 Take your completed TM 7 Form, one passport picture, the copies of your passport and departure card (both need to be signed again) and the 1900 THB in cash to the information desk . The staff there will check whether you have completely everything correctly and will also take the payment from you. They will hand over everything to their colleagues and you will be asked to wait until they call your name in the (air-conditioned! 🙂 ) waiting room just next door. Note: If you didn’t bring the exact change you will get your change at the end when they’ll return the passport to you. Note: Depending on how many people are there that day expect to wait around 30 min – 1 hour. If it’s super busy you might have to wait even longer. So bring a book to read or have your phone fully charged so that you’ll have some entertainment while waiting. IS THERE ANYTHING ELSE TO DO AROUND AFTER YOU HAVE EXTENDED YOUR TOURIST VISA? Our snack from the Black Canyon Cafe at Promenada Mall. Delicious! UPDATE April 2018: A tip from a fellow traveler was to check out the “Amazon Cafe´” on the 3rd floor! They charge reasonable prices, make great coffee AND have a fantastic green tea as well on offer! 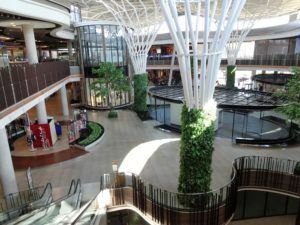 HOW TO GET BACK TO CHIANG MAI FROM PROMENADA MALL? You could either get an Uber (some of the coffee shops offer free Wi-Fi so you can get an Uber while sipping your coffee), check if there are any taxis, tuk-tuks or Songteaws outside OR – and this is a tip for everyone on a budget – use the FREE SHUTTLE BUS! UPDATE April 2018: A reader informed us that their free shuttle bus service was unfortunately discontinued :-(We currently don’t know if this is a temporary thing or not so have left the information in this post for the time being. Let us know if you see/hear anything. Thanks!!! There is a free shuttle bus from Promenada Mall to about 6 different stops in town: Amora Tapae Hotel, Imperial Maeping, Night Bazaar/Le Meridien Hotel, Shangri La, The Empress & Holiday Inn. 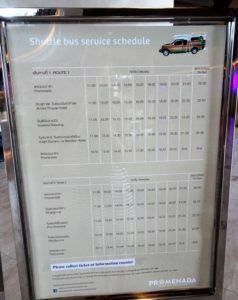 They run hourly and you can get your ticket at the information desk inside Promenada Mall. So we just did that! After enjoying some soul food and coffee at the mall we got us a ticket at the information desk, hopped on the next shuttle bus to Amora Tapae Hotel and just walked from there back to our apartment. 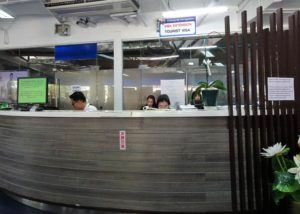 So all in all the visa extension process in Chiang Mai wasn’t as bad as we expected – actually they were really efficient and processed our application pretty quickly considering the amount of people there. We are now looking forward to staying another few weeks in Thailand! YEEEAA!! Also extended your visa? CONGRATS! Make sure to check out our scooter adventures around Chiang Mai for some inspiration and guidance of how to spend your next weeks here 🙂 . Want to see more about our tips, tricks and adventures in Thailand? Then click the picture below! Thanks so much for this info, really appreciate it! We’ve updated this post immidiately! How was the visa extension process at the airport? Did you experience any major wait-times or general changes to the whole procedure? This blog post has been so helpful, thank you so much! Currently waiting to receive my visa. Fingers crossed! Thank you a lot for sharing this! Today also gonna go there. Can you tell, was there a problem with the photo on a white background? Do they accept such or only on a blue background? Hi Irina! thanks for your comment! You’re probably already on your way to extend your visa however in case you still read this we quickly wanted to answer the question regarding the photos. They are very strange when it comes to these. We first extended our visa in Phuket and when taking our pictures there they were done with a white background. However these pictures (we still had some left) were not accepted by the Chiang Mai Immigration office – why? no idea! 🙂 One would assume same country – same process – same regulations. But they wouldn’t accept them and took new ones with a blue background. So you can try and check with them, but we wouldn’t count on it. Love people who take the time to share these things! 1. For photos, skip the lines and high prices and go to BIG CAMERA on the 3rd floor. They charge 150 (or 180?) Baht for TEN photos (the shop near immigration charges 200B for six photos). 2. 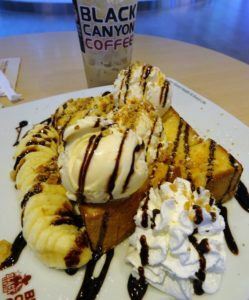 Skip Tom Toms and Black Canyon and go to Amazon Cafe on the 3rd floor! They charge more reasonable prices and they make not only great coffee, but excellent green tea as well (for green tea lovers like me!). 3. 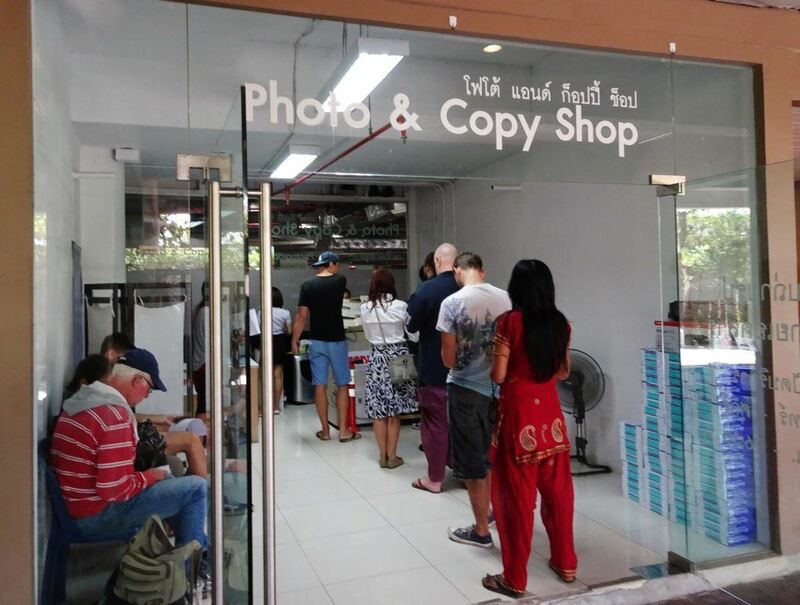 The photocopy shop next to immigration is efficient and cheap. Charge only 4 Baht for two copies!! 4. Grabbed a Songtaeng from Old City to Promenada for 100 Baht (beware, other drivers quoted 150B and even 300B!). 5. Immigration was super efficient. In and out in 1 hour. Hi David! You are a star! 🙂 Thanks for sharing your feedback and recent changes! We will make sure to update the post accordingly adding all your notes and comments! Thanks and keep enjoying wonderful Thailand! 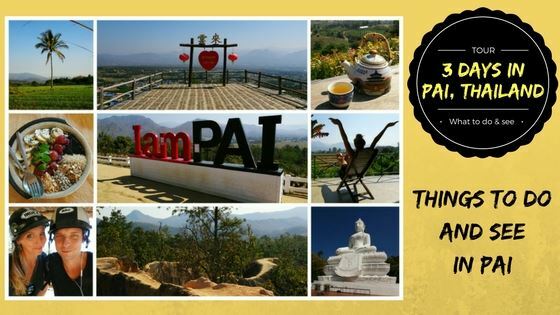 Will you be staying in/around Chiang Mai or are you off to explore other parts of Thailand? Great article very organized! I plan to do my first 30 day extension next week and now i know the process isn’t too bad..
Hi! Very helpful Articel! Thanks so much! My question, if you know it, is if the extension starts the day you get it or, on the day the old visa has run out? Regarding your question, the extension starts the day your old visa runs out so theoretically you can go and extend it as soon as you know you want to stay longer! 🙂 Easy-peasy! All the best and enjoy Thailand! Do you know if it’s everyone that gets their visa extended – or is there a risk of not getting it extended? And did you book you flight ticket counting on getting the extra 30 days? Hi Siggie! We’ve never come across anyone who didn’t get their visa extended so don’t worry too much! 🙂 And yes, we planned according to staying for 60 days in Thailand. Let us know if you need any other information or help! Are you currently travelling through Thailand? Hey guys! Thanks for this super cool article. Saved my life! Going to Immigration Office tomorrow morning to extend my visa for 30 days. Thanks a lot! Thanks a lot for all these precious information.what do you mean by departure card? We plan to do same thing. However we do not have flight ticket to leave the country.we plan indeed to go to Cambodgia by crossing the boarder by walk. Regarding your question, you are probably not yet in Thailand, right? Because you will get the departure card when you enter the country (it’s a little piece of paper that you keep in your passport until you leave again).